President Obama, better git a move on if you don’t want China to be the first nation on Earth to recognize the extraterrestrial presence. Keep in mind in the face of all that happens that the galactics do have a divine deadline for Disclosure, as SaLuSa lays out below, and so if the politicians cannot come together to disclose, at some point the galactics will do it for them. World Disclosure Day last month resulted in so many discussions of disclosure that I had to cut off my posting of them arbitrarily at forty. I promised to hold a Disclosure Day each month. This is the first, for September. This month, my duties continue to expand and so I’ve had to be realistic about what I can do. I’ve decided in the future to summarize what has happened over the last month, as seen through articles published on this site. There have been numerous steps taken towards disclosure over the last month. France, which had published a report friendly to disclosure at the end of May, was joined in August by Brazil, which set out a public procedure for reporting UFOs, and China, which saw astronomer Wang Sichao, undoubtedly with the blessings of the Central Committee of the Chinese Communist Party, acknowledge the reality of UFOs. China’s steps towards disclosure follow recent sightings above Chinese airports. With a closed society like China, we never know the reasons for any move. Come to think of it, with closed societies like our own, which pretend to be open, we also seldom know the real reasons for any move! I think we’re all increasingly coming to see just how closed our own societies have been in recent decades. If you don’t believe that, just read the Report from Iron Mountain. Leslie Kean published a book on UFOs that drew on the testimony of generals, pilots, and others. 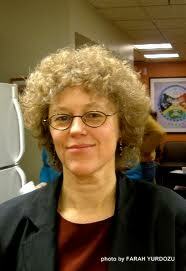 And Kerry Cassidy reported that the climate for disclosure had altered from one of negativity to one of positivity. She said that whistleblowers were now being encouraged to come forward and tell what they knew. Stephen Bassett began an Exopolitics World Network Cities Initiative. In one article, Alfred Webre began Exopolitics TV and, in another, declared that the “extraterrestrial hypothesis” had become the dominant explanation for UFOs in several countries. 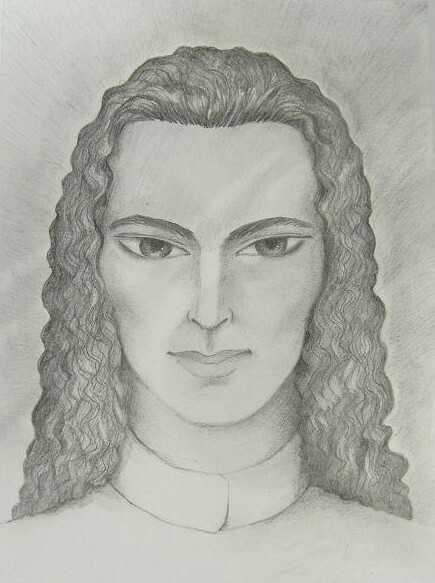 Meanwhile, real extraterrestrials like SaLuSa of Sirius communicated with us throughout the month encouraging us to take the leap of accepting ET life and welcoming it and explaining why disclosure was taking so long. While his message dates back to Nov. 2009, we looked this month at Hatonn’s description of the difficulties involved in creating an announcement accompanying disclosure. Now let’s look in detail what happened this month relating to ET and UFO disclosure. “As disclosures mount, such as the Chinese statement and the information from the Brazilian Air Force commander revealed in a recent exclusive interview with Lieutenant-Brigadier José Carlos Pereira, former commander of the Brazilian Airspace Defense Command in the Brazilian UFO Magazine, the winds of change are now blowing in that direction. “We were recently told that the ‘dogs were being called off’ of us… (our words) and that there is a whole new wave of allowing these things to ‘get out,’ even a strong push to do so. “My advice to the whistleblowers out there who want to speak out… there’s never been a better time than now. In fact, I would say, the movement in this direction indicates the game has changed in some important ways. It’s not anymore that we are not alone, or that we have never been alone (as Bob Dean would say) but that “they” want to wake up the sleeping masses for some other reason. “Now what that might be is still unclear. Some will say, for a false-flag [Project Bluebeam] scenario (alien invasion) others will say they are moving off planet themselves and are leaving the crumbs to the masses. Others may say, it’s all a bit like the TV series Persons Unknown…(recommended). One example of the type of whistleblowing that Kerry is encouraging came from former Army officer Paul Eply this month. (E) Eply was dying of cancer and wanted to clear his conscience. Described in the article “Army Whistleblower Saw Live Roswell Aliens, Was Asked to Assassinate Martin Luther King,”Epley disclosed that he had seen a live alien from the Roswell crash in captivity in Fort Perry in the Summer of 1950. The alien was the fifth individual to survive the crash and was taken first to Roswell, then to Fort Hood in Texas, and from there to Fort Perry in Virginia. Are the Chinese Preparing for Disclosure? 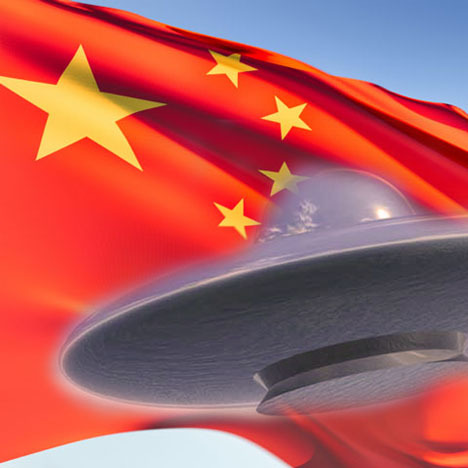 Will China be the first nation on Earth to disclose the presence of extraterrestrials? Better get a move on, President Obama. In late May 2010, a French committee published a report acknowledging the reality of UFO)s. (4) This month Chinese astronomer Wang Sichao acknowledged their reality. In another article, Kevin Smith suggests that there is a “very stringent secrecy program that is in place for astronomers” but cites Wang’s case as a breaking of the ranks of silence. (6) Astronomers in China don’t just “break silence.” I’m quite sure Wang’s move was sanctioned by the Central Committee and may even have been ordered by them. 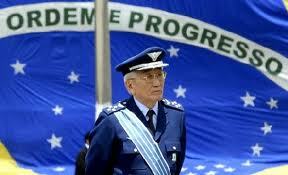 According to sources in Brazil, Brazilian Air Force commander, Lieutenant-Brigadier Juniti Saito (equivalent to a 4-star General), took a major step towards openly recognizing the UFO Phenomenon as serious and worthy of immediate action in Brazil. Saito, respected by the current Federal Administration, issued a public statement regulating how UFO reports should be handled in Brazil, by whom and where they should be kept. Brazil may be the first country in the world to have such a measure published in its official journal, called Diário Oficial da União, which is open to the public and records every and all acts taken by the Administration, its agencies and entities. The document was published Tuesday, August 10. The article holds it up as a good example of how a public campaign such as UFOs: Freedom of Information Now, conducted by the Brazilian Committee of UFO Researchers (CBU) through the Brazilian UFO Magazine, can make things happen. Alfred Webre announced on Aug. 14 that ExopoliticsTV, a magazine format public affairs program on Exopolitics, or relations among intelligent civilizations in the multi-verse, made its debut at Examiner.com. “Expert panels, military-intelligence agencies, and/or scientists, respectively, in France, U.K., and China now independently confirm that the ‘extraterrestrial hypothesis’ is now their public operative explanation for specific empirical UFO encounters. Leslie Kean Publishes Study of UFOs Drawing on Generals, Pilots, Etc. Michael Salla reviews her book and suggests that, while it verifies the existence of UFOs, it holds the identification of their passengers as extraterrestrials as possible but not proven. (12) Of course disclosure will take care of that situation and is the very reason we’re active in our efforts here now. Arlington Institute Founder/Director John Petersen, who wrote an endorsement of Kean’s book, called for an “adult” conversation on the reality of UFOs and extraterrestrials. Petersen, a retired naval flight officer with a background in electrical engineering, describes UFOs On the Record as “a good start” toward that end. “I don’t think anything stays the same as it is, and there’s a growing kind of awareness on this subject around the world,” says Petersen. “It’s inevitable that humans — and Americans — will get to a place where this issue can be discussed openly, in a non-threatening manner. “A great leap for some of you is the acceptance of our presence, because of the fearful images carried at the subconscious level. Sometimes it is compounded by religious beliefs, but we must mention that the Vatican has officially and publicly recognized us. SaLuSa explained on Aug. 27 why disclosure is taking as long as it is. Timing is of the essence and the time is not yet right for the announcement to be made, but the challenge to those now in power will come soon. “I am SaLuSa from Sirius, and can tell you that the Galactic Federation is pressing for the awaited announcement to be made. Our allies include people in exceptionally important positions who are pushing forward with all speed. The day of Truth beckons, but does rely upon the stage being properly prepared for such a monumental occasion. “Our main means of communion will be your television services, until we can equip you with a personal unit that you can take with you. Even now some of you meet with us in out of the body meetings, and you return to Earth to carry out your mission. Some remember such meetings, and by its very nature seems dreamlike. In time there will be a more open contact and we will be happy to invite you on board our ships, as a pleasurable visit. “Our Motherships are immense by your way of thinking, and they can accommodate hundreds of you at a time. Some of them around your Earth at present are a hundred miles in diameter and stationed in the outer ring. In our much smaller craft that are for use in your atmosphere, we visit you on Earth and we are seen often by you. However, a lot of our activity is carried out with the craft invisible to your eyes, but seen on your radar detection units. We prefer to keep out of sight, as the least your dark Ones know about our work, the better it is. “The disclosure announcement is hardly necessary when it comes to proving we are real. So much evidence about us has been amassed, that it is no longer a matter of the proof of our being. It is however the outcome that will ensure that we are accepted by you, and have permission to land openly on Earth. The sooner the better as we have so much to get started, and we know how much you desire our presence amongst you. “The program announcing our presence is a complex undertaking. The numbers of folks who are expecting us and will greet us wholeheartedly are very few, and the program is being designed for the multitudes. It has to be presented without creating fear or undue backlash. There’s formidable opposition to any recognition of our very existence, and the security of all persons involved in the program is a foremost consideration. When I say “security,” I also mean the emotional security of all witnesses and other participants and their families, not only their physical safety—we have that well in hand. “The program can’t be just film clips of spacecraft sightings. In some areas these are so numerous that it’s ho-hum, they’re back. There has to be solid evidence about our presence and that’s where personal accounts come in. Testifying before a panel that pledges witnesses to secrecy is quite different from letting the world know their identities, and the same goes for the people who have been working with us or at least know why we are here. Some have been blackballed in their professions or declared delusional or crazy. In some cases families have been threatened and individuals killed by factions that don’t want you to know we exist, especially not right here with you. Those in charge of the program want everyone who’s willing to speak about personal experiences to feel emotionally secure doing it. “This is an international action and it’s important that there is agreement among the governments involved. Major decisions have been made, but some details are still being discussed. Some of your representatives favor keeping the initial program brief and releasing information in increments so people won’t feel overwhelmed. They propose a brief statement that many spacecraft seen during the past several years are from other civilizations, there’s no reason to think any harm is intended, and more information will follow as it’s compiled. “Others want the program to answer all logical questions and some of our representatives tell how they’ve been to helping the planet through what you call the shift or cleansing.Some think it would be frightening to see us as we appear in our native lands—not all of us look like you. Others say it’s necessary to show ourselves as we are to prove that we aren’t from your civilization. Some think including live coverage of a mother ship decloaking is a good idea, others think it could be more threatening than reassuring. “What kinds of information to present on the program and how much can be covered without overload is being debated. Would it be helpful or overkill to explain that Earth is moving out of her regular orbit by intention and needs our help off and on the planet? Would that involve explaining that Earth is a soul? How much can be said about our technologies without alarming folks about how we might use it? Would it be foolish or comforting to say that our presence has prevented other civilizations from trying to invade Earth? “To what extent should the cover-up be disclosed? What about admitting that your governments refused our offers of technology in exchange for ending weaponry development and wars that could annihilate you all? How would it affect your population to know that both dark and light beings from other civilizations have been living among you and influencing your way of life? Should the program include personal accounts of both positive and negative abduction experiences? What to say about the “little grays” that have been living for many years in underground cities? What mixture of scientific, political and religious spokespersons should be in the program? 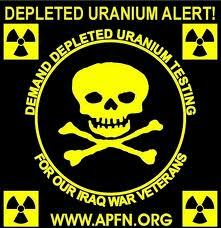 This month we saw the Army deny that the its testing ground in Hawaii has been contaminated with depleted uranium. Not only is this area of Hawaii contaminated, but also areas of Iraq, Afghanistan, Bosnia, Kosovo, Lebanon, and the Sinai. We also heard from Luz, one of our community, that Puerto Rico has been contaminated with DU to fatal effect. This contamination is blown by the winds around the world. There is no way that I’m aware of to remove DU contamination. “First I say that long-time readers of my messages and the books know my objection to the term ‘depleted’ that indicates short-term effects, and that more often I have used ‘depleting,’ which is what the uranium released through weaponry is doing. The galactics will not appear openly on the surface of Earth in large numbers until after Disclosure. Once Disclosure has occurred, they have undertaken to restore the surface of the Earth to its original pristine condition in preparation for Ascension. Canada in a Position to Disclose? Alfred Webre also reviewed the history of attempts to take Canada’s release of its UFO files to the point of disclosure of the extraterrestrial presence. (25) I personally cannot see Prime Minister Harper irritating the U.S. by disclosing anything of importance, never mind the existence of extraterrestrial life. Another features a song promoting disclosure, entitled “Need to Know,” produced by Damian Valentine with lyrics by Bryce and Jackie Zabel. (28) When an idea enters the popular culture, I think its acceptance cannot be far behind. Doubleclick on the video to go to Youtube and watch the remaining parts. (18) SaLuSa, May 17, 2010. (19) SaLuSa, March 22, 2010. (22) SaLuSa, May 19, 2010.